Television Maxi Poster: The fantasy series 'Game of Thrones' has become a hit since its first airing in 2011 but if you are still having trouble deciding which house is for you then why not take heed of this eye catching maxi poster. Featuring the outrageously rich House Lannister, this brilliant poster shows the magnificent golden rampant lion on a field of crimson as he roars into the darkness. 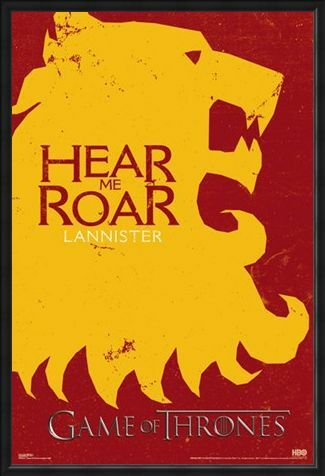 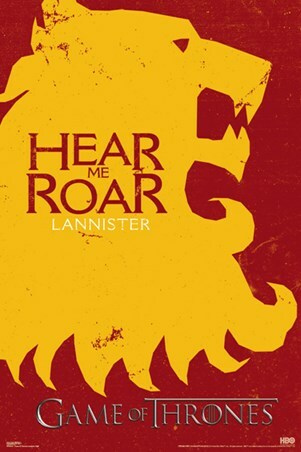 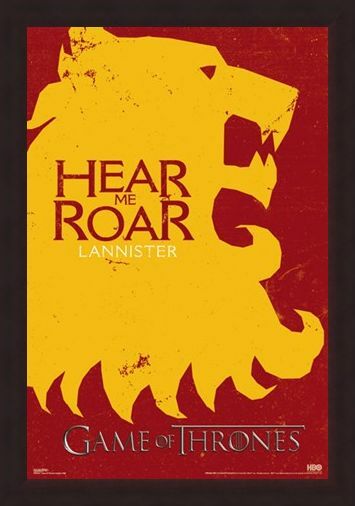 With the Lannister motto of "Hear me Roar" in the centre and the series name along the bottom, this poster is a must have for anyone who loves Lord Tywin Lannister. 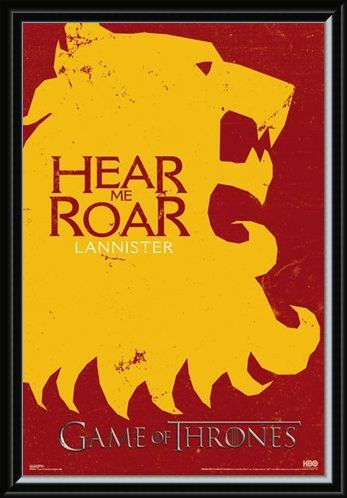 High quality, framed Lannister Si, Game of Thrones poster with a bespoke frame by our custom framing service.